April 6, 2018 – A recent story online discusses the latest developments on the estate of the notorious cult leader and murderer, Charles Manson (November 12, 1943 – November 19, 2017). According to the story, two of his sons, Michael G. Brunner and Matthew Robert Lentz, are apparently moving forward with a petition in Los Angeles Superior Court based on a 2017 Will. February 11, 2018 – A recent story from New Zealand found here is a very interesting scenario involving the estate of a lottery winner and his disinherited children. David Wayde Carson died in 2015 with a will leaving nothing to his children. David had no contact with his adult children since 1974 when he separated from their mother. His will had instructions that no one in his family be told about his death. More here. January 5, 2018 – A recent story I found online about a transatlantic funeral dispute confirms how important it is to have an up-to-date estate plan in place before death. The story is about Paul Lewis Morigi, a World War 2 veteran who passed away at the age of 97 in 2016. Mr. Morigi died in the United Kingdom after living the majority of his life in the United States. He had been briefly married in the UK in 1944 to a woman named Olive Murphy, but later remarried in the US to a woman named Muriel Murigi . Mr. Murigi divorced his American wife after 60 years of marriage at the age of 92. He then moved back to East Sussex in the UK. More on this story here. December 1, 2017 – A recent story I found online from Auckland, New Zealand is an example of the kind of scenario that is becoming more common as our population ages. The story involves a fight between a caregiver, an elderly man she cared for, and his son. According to the story, Alfred Willis hired Pamela Thomson in 1997 as a caregiver. She helped him with housekeeping, bed-making, and showering. She worked for Mr. Willis a few months before moving on to another job. According to Ms. Thomson, the relationship she had with Mr. Willis went beyond that of a caregiver and client as they became close friends over time. More here. November 27, 2017 – A recent story online confirms that the decades-long battle involving the estate of the late John Steinbeck continues. The dispute was between Waverly Scott Kaffaga, and one of John’s sons, Thom, his wife Gail Knight Steinbeck and their company the Palladin Group. Waverly is the daughter of John Steinbeck’s third wife, Elaine. More on this story here. November 15, 2017 – A recent story online confirms that Jerry Lewis, the famous comedian, actor, and producer, excluded his six oldest children from his Will. Jerry Lewis passed away on August 20, 2017 at the age of 91. He died as a result of cardiac disease and peripheral vascular disease. Reports indicate that his estate did not have a lot of cash or property, instead being comprised of a vast fortune of intellectual property. More here. September 25, 2017 – A recent story about an estate dispute currently before a Northampton County Court in Pennsylvania is a reminder of the massive legal costs the parties involved in estate litigation can incur. The subject dispute stems from the estates of Peter Karoly and his wife, Dr. Lauren Angstadt. Mr. Karoly and Dr. Angstadt were killed in a private plane crash in 2007 in Massachusetts. More here. September 8, 2017 – A recent story online outlines the latest developments in the Alan Thicke estate dispute. The Canadian actor and star of the TV show Growing Pains passed away on December 13, 2016 in Burbank, California. He was playing ice hockey with his son when he collapsed. He died due to a ruptured aorta at the age of 69. After his passing, his sons Robin Thicke and Brennan Thicke filed a petition in Los Angeles Superior Court requesting the Court to uphold a prenuptial agreement their father had with his third wife, Tanya Callau Thicke. More here. September 3, 2017 – A recent story online confirms that the feud between Singapore’s prime minister, Lee Hsien Loong, and his siblings is heating up. Mr. Loong is the eldest son of Singapore’s founder, Lee Kuan Yew, who governed for over three decades. Mr. Yew passed away on March 23, 2015 at the age of 91. Mr. Loong became Singapore’s third prime minister in 2004. This story is an example of how estate disputes can reach the highest levels of politics and attract international attention. More here. August 11, 2017 – A recent story online is a horrific example of the kind of elder abuse some seniors may face in the final years of their lives. The video shows an 89-year-old man, Georges Karam being punched repeatedly by a personal support worker. The incident took place at Garry J. Armstrong Home, a long-term care facility in Ottawa. The city runs the facility located on Island Lodge Road. George Karam has Alzheimer’s and Parkinson’s disease. More here. July 20, 2017 – Carver County District Judge Kevin Eide has rescinded a $31 million dollar deal between Universal Music Group and the Prince estate. According to a recent story, a large portion of Universal’s deal with the Prince estate was nullified after it was revealed that the agreement would not include distribution rights to Prince’s pre-1996 music. Additionally, Universal will receive back its $31 million dollars. More here. July 20, 2017 – The Bra Boys are a gang centered on surf culture and founded in Maroubra in Sydney, New South Wales. They gained international fame in 2007 with a documentary entitled Bra Boys: Blood is Thicker than Water. Mr. Dallas also founded a successful clothing business and amassed a fortune. His estate is estimated to be worth upwards of $30 million dollars. The dispute is the result of a holograph will leaving his estate and business to be divided equally between his children. The will was signed with a smiley face. A copy of the will is found below. Mr. Dallas died in 2012 after a two week party binge in Bali, Indonesia. More here. July 4, 2017 – Caregivers are facing serious allegations for treatment of elderly man. Christos Vloyiannitis was a Greek immigrant who passed away on May 19, 2013 at the age of 78. He was married to his wife Marjorie who predeceased him. He and his wife moved from Toronto to Brighton in 2004. Mr. Vloyiannitis worked as a ships worker on the Great Lakes and then later as a cab driver. His relationship to his caregivers, Terry and Pam Cross, began when Pam Cross worked for his wife Marjorie as a housekeeper. When Marjorie became ill, Pam Cross became her caregiver. More here. June 18, 2017 – A recent story online discusses the dispute between Dare Foods heiress Carolyn Dare-Wilfred and her brothers, Bryan Dare and Graham Dare. Dare Foods dates back almost 120 years to when Charles Doerr started making biscuits in his neighborhood grocery store. His grandson, Carl Dare took over the business in the 1940s. Over the years the company has expanded to over 50 countries around the world and has annual sales of over $300 million. More here. June 18, 2017 – The Prince estate dispute may finally be moving in the right direction. Prince passed away on April 21, 2016 due to an overdose from the powerful drug Fentanyl. He died without a will and he did not have any children. As a result, under Minnesota law his siblings were next in line to be named heirs to his vast estate. Immediately after his death, many people came forward claiming that they were related to Prince and they should share in his estate. As many as 45 people came forward. Carver County District Judge Kevin Eide ruled out many of these potential heirs. Justice Eide previously refused to declare the six siblings heirs to the Prince estate pending any appeals by the potential claimants. More here. June 2, 2017 – Richard and Jonathan challenged a will their father, David Powell, made shortly before his death. David battled Parkinson’s Disease before succumbing at age 84 in 2012. At issue were what Richard and Jonathan described as “odd” updates to the will shortly before David’s death. The impugned will left half of David’s estate to his widow, Ailsa. The other half was split equally between Richard and Jonathan. The estate is believed to be worth £250,000. More here. June 2, 2017 – A recent story from Peoria, Illinois is an egregious example of fraud perpetrated through the use of power of attorney documents. A former insurance agent pleaded guilty to four federal criminal counts in U.S. District Court in Peoria. Between February 2001 and July 2016, James Smith defrauded clients out of more than $310,000. Mr. Smith has plead guilty to two counts of mail fraud and one count each of wire fraud and money laundering. More here. May 12, 2017 – A recent story summarizes the sibling dispute among the owners of the Lunds & Byerlys chain of grocery stores. Lunds & Byerlys is one of the main grocers in the Minneapolis, Minnesota. The Company was found by Russell Lund in 1939. It has grown to 26 stores in Minnesota. This dispute seems like a good scenario for mediation. A mediation would allow the parties to determine the outcome. More here. April 7, 2017 – The matter was originally before the Grant Superior Court in Indiana. At issue were gifts made by Thomas R. Garrison while he was on his deathbed. Thomas was diagnosed with terminal lung cancer on July 27, 2015. He died a short time after on August 9, 2015. In dispute were two cars which were allegedly gifted to one of his sons, Jay Garrison, shortly before Thomas passed away. More here. April 7, 2017 – A jury has found Susan Van Note not guilty in the 2010 murders of her millionaire father, William Van Note, and his girlfriend, Sharon Dickson. A recent story found here summarizes the case and trial. More on this story here. March 10, 2017 – Muhammad Ali’s family may be heading toward estate dispute. Although few details have surfaced since his passing, a recent story suggests some of Ali’s children may be at odds with his widow, Lonnie Ali. The estate has been estimated to be worth $80 million. There is also a trust in place. The children are reportedly getting a $6 million inheritance. Their stepmother, Lonnie Ali would earn $12 million. More here. March 6, 2017 – From the outset, the administration of the Prince estate has been bogged down in litigation. Many potential heirs have attempted to claim a share in the estate. Over the last year, the Judge overseeing the case, Carver County Judge Kevin Eide, has ruled out many of the potential heirs. Nonetheless, he has said he would not formally validate the inheritance of the siblings until appeals from these cases have been heard. More here. February 21, 2017 – A recent story online discusses an inquiry into elder abuse in Australia by the Australian Law Reform Commission. As our population ages, the frequency of elder abuse is likely to increase. Parents are living longer, and children may be tempted to use a power of attorney to obtain an “early inheritance”. They may believe that since they are going to eventually “receive it anyway”, there is nothing wrong with using a power of attorney to obtain funds in advance. Unfortunately, his kind of misuse is becoming more and more common. More here. February 17, 2017 – Robert Thomas Velline (April 30, 1943 – October 24, 2016), was a famous American pop-singer who gained world fame in the 1960s. Also known as Bobby Vee, he had six gold singles during his career. He remained active as a musician until 2011 when he was diagnosed with Alzheimer’s Disease. After the diagnosis, he withdrew from the music business. He passed away on October 24, 2016 as a result of complications from Alzheimer’s Disease. More here. February 10, 2017 – The reason for this battle appears to be related to a power of attorney his mother signed years ago while she was suffering dementia. It is alleged that her family had her sign a power of attorney to remove Mr. Mendoza from the estate. As a result, Mr. Mendoza’s rights with respect to the property have been disputed. More here. January 27, 2017 – Her son, Sidney Davies, is 70 years old. The dispute dates back almost 40 years. Some time in the early 1970s, Sidney’s father promised him that he could have the barn on the property and 1.3 acres of surrounding land for £6,000. Sidney left his home at the time, and moved into a caravan at the farm. He relied on his father’s promise in moving to the farm. More here. January 27, 2017 – Tom Clancy passed away on October 1, 2013 as a result of an undisclosed illness. At the time of his death, his estate is estimated to have been worth $86 million. His death revealed that his original estate plan had been modified after he remarried. A recent online story found here outlines the problems created after the change. More here. January 20, 2017 – Blended family dispute involving £18 million estate is turning hostile A recent story about a matter before the London High Court illustrates some of the estate planning difficulties a blended family may encounter. The dispute involves the estate of Richard Thornton, a successful investment manager with Thornton Investments. More here. January 13, 2017 – A recent story from London, England is a great example of a will challenge caused by a beneficiary being disinherited. The dispute involves the heirs of Jack Hayward, a world famous harpist. In addition to playing professionally, Mr. Hayward had a successful harp business that sold, repaired, and rented harps. Mr. Hayward passed away from cancer in 2013 at the age of 81. Five months before his death, he executed a Will which is now the the subject of the dispute between his son Iain Hayward and his daughter, Fiona Kunicki. More here. January 10, 2017 – A recent story from Nottingham, England is a shocking story of will fraud and power of attorney abuse by a former tribunal Judge. According to the original story, the perpetrators are former solicitor and tribunal Judge, Mrs. Margaret Hampshire, and her builder husband, Mr. Alan Hampshire. This scenario is a particularly disturbing example of will fraud and power of attorney abuse. More here. January 5, 2017 – The story is about Mr. Pete Stoopnikoff, a 92 year-old, self-made millionaire from B.C. He started by borrowing money to buy a gas station. Mr. Stoopnikoff then invented an efficient wood burning heater in the 1950s, and invested the profits in real estate. More here. December 16, 2016 – Robert Lee Huff (born October 4, 1934), known as Sam Huff, is a former American football linebacker who enjoyed a successful career with the New York Giants and the Washington Redskins. He was inducted into the Pro Football Hall of Fame in 1982. The dispute involves his longtime partner and his daughter. At issue is who should care for him. More here. December 16, 2016 – A recent story from Whanganui, New Zealand illustrates how emotionally charged estate disputes can occasionally become. The dispute involves the estate of a Whanganui man, Bert van der Lubbe, who passed away in February of 2015. His estate was mainly comprised of a share in a Whanganui property and several Meccano sets. He passed away at age 66 and was allegedly diagnosed as a schizophrenic. After he passed away two Wills were found, one signed in 2002 and one signed in 2013. This resulted in a dispute between several of the siblings. More here. November 11, 2016 – Ever since Prince was found dead from a Fentanyl overdose, his family has been involved in a bitter estate dispute. Immediately after Prince passed away it became clear that he did not have a will. He also did not have any children. According to Minnesota law, his siblings, specifically one sibling and five half-siblings would be entitled to share in his estate. Many other individuals with ties to the family have come forward alleging they were related to Prince. More here. October 26, 2016 – A recent story from the United Kingdom found here illustrates what happens when siblings cannot come to an agreement on how to divide an estate. The dispute involves the children of Sir Michael Butler. Sir Butler was former adviser to Margaret Thatcher. The dispute centres around a Ming porcelain collection comprised of over 500 pieces dating back to the 17th century. Sir Butler accumulated the collection over 50 years. He did this while he travelled the world as a diplomat under Margaret Thatcher. The collection is known as the Butler Family Collection. More here. October 7, 2016 – Ernie Banks (January 31, 1931 – January 23, 2015) was a professional baseball player with the Chicago Cubs from 1953 to 1971. He was inducted into the Baseball Hall of Fame after a stellar career. After he passed away it was discovered that he had prepared a will that left all of his assets to his long-term caretaker, Regina Rice. He left nothing to his family. the Ernie Banks estate is still in dispute. More here. September 16, 2016 – r. Redstone is an American billionaire and media magnate. Some of the assets controlled by him or his family include the National Amusements theatre chain, CBS corporation, and Viacom. The Redstone dispute initially started when it seemed like a future will challenge was going to take place by the media magnate’s ex-girlfriend. More here. September 12, 2016 – Frank Vincent Zappa (December 2, 1940 – December 4, 1993) was a world-famous American musician. Unfortunately, he passed away on December 4, 1993 after a long battle with cancer. His four children are now involved in a bitter dispute over his assets. Frank Zappa had four children: Moon, Dweezil, Ahmet, and Diva. This dispute seems to have started in October of 2015 when Gail Zappa, Frank Zappa’s widow, passed away from lung cancer at age 70. She controlled the Zappa estate until her death. More here. September 6, 2016 – On April 21, 2016 Prince Rogers Nelson (June 7, 1958 – April 21, 2016), known to the world as “Prince”, was found dead in his Paisley Park home in Minnesota. Since his passing, it has been reported that he died as a result of a drug overdose. The drug that allegedly killed him was Fentanyl. This is an opioid that is considered many times more powerful than heroin. More here. September 1, 2016 – A lawyer from Whitstable, Kent in the UK is facing possible jail time after a lengthy estate dispute with his sister. The dispute stems from the estate of Mr. Leonard Supple. He was an entrepreneur and a businessman involved in various companies. At the time of his death in 2004 his estate was estimated to be worth up to £18 million. A dispute immediately arose between his children Stephen Supple, a lawyer, and Lynda Supple. More here. August 25, 2016 – The children of the late reggae icon Peter Tosh appears to be in the middle of a nasty estate dispute. Peter Tosh was murdered in 1987. He had no will at the time of death. The Tosh estate was managed by a court-appointed lawyer until 2009. It is at this time that one of his daughters, Niambe McIntosh took charge of the estate. It is not clear how she gained control of the affairs of the estate. More on this story here. August 23, 2016 – The dispute was among his three children. They are directors of a corporation that manages the estate. Martin Luther King III and Dexter King voted in 2014 to sell the Nobel Peace Prize medal and his Bible. Bernice King was opposed to the sale. Her view was that these items were sacred to their father and that they should not be sold to private parties. More here. August 5, 2016 – Over the past months I’ve written several posts on the Martin Luther King Jr. estate dispute. The dispute is between his sons Martin Luther King III and Dexter King and his daughter Bernice King. At issue is the ownership of Luther King Jr.’s travelling bible and 1964 Novel Peace Prize medal. These items have significant historic importance for the United States of America. The parties appeared to be on a path to resolution. Read more. August 2, 2016 – Power of attorney abuse is a serious threat to many senior people. A recent story from Kitchener, Ontario illustrate some of the dangers. It is alleged that a man used a power of attorney to steal his mother’s entire life savings. The funds that were allegedly transferred total over $62,000. The man has been charged with fraud. None of the allegations have been proven in Court. More here. July 22, 2016 – It has been established that Prince died from a fentanyl overdose. Fentanyl is a powerful opioid that is many times stronger than heroin. Prince may have had substance dependence and abuse problems. According to various reports, there is still no known will found. As a result, the allocation of the assets of the estate to beneficiaries remains unclear. More here. July 18, 2016 – Muhammad Ali (January 17, 1942 – June 3, 2016) was one of the greatest boxers of all time. His greatness extended well beyond the ring and he will always be remembered. When he passed away, he left an estate that is likely to result in prolonged and complex estate litigation. Apparently there are many potential beneficiaries some of which are likely still unknown. Read more here. July 6, 2016 – Sumner Redstone (born May 27, 1923) is an American billionaire and media magnate. Some of the assets owned and/or controlled by him or his family include the National Amusements theater chain, CBS corporation, and Viacom. At the time I wrote my previous story some of the issues of the case involved allegations by Ms. Manuela Herzer that she was appointed by Mr. Redstone under a September 3, 2015 health directive to make decisions for him if he lost capacity. Ms. Herzer was allegedly an ex-girlfriend. More here. June 24, 2016 – A recent story from Australia published online on The Age illustrates some of the difficulties seniors and their caregivers may face as a result of late life will changes. This story is a reminder to caregivers that actions taken by a patient toward the end of life changing a succession plan are likely to attract scrutiny. This is especially true if the caregiver suddenly becomes the sole beneficiary of the estate. More here. June 5, 2016 – A recent story published in the Santa Fe, New Mexican online reports of an estate dispute where siblings have alleged malpractice by the lawyer drafting their deceased mother’s will. The siblings have also come after their stepfather contesting the will. The estate in question is the estate of the late artist Margarete Bagshaw (November 11, 1964 – March 19, 2015). Read more. May 27, 2016 – The estate of the late great Michael Jackson has been the subject of litigation on several different occasions. The most recent development seems to involve the Jackson estate and the Internal Revenue Service in the United States. A story online outlines some of the details of the looming dispute. The subject of the dispute is back taxes. The valuation of the estate at the time of death seems to be one of the main points of disagreement. Read more. May 27, 2016 – Lynda Bellingham (born Meridith Lee Hughes) passed away on October 19, 2014. The Canadian-born English actress had an illustrious career in television and film that spanned several decades. After Ms. Bellingham passed away, an estate dispute quickly developed. Her will allegedly left everything in her estate to Michael Pattemore. Her two sons are alleging that Michael Pattemore is preventing them from accessing their inheritance. More here. May 20, 2016 – A recent story in the Kitsap Sun, a Bremerton, Washington newspaper caught my attention. The full story is found here. The scenario is about the estate of Eva Rova Barnes and it illustrates some of the challenges faced by the various parties involved in late-life will changes. Ms. Barnes was a Poulsbo area woman who passed away in 2011. She was almost 95 years old at the time of her death. Her estate included a substantial stake in 46 acres of land, real estate, and other property. More on this story here. May 20, 2016 – The dispute stems from a buy-out deal between Elvis Presley, his manager “Colonel” Parker and Sony’s RCA in 1974. The deal was for $5.4 million. The Elvis Presley estate was seeking accounting records from Sony Affiliate and RCA successor Arista. Since that time the Elvis Presley estate has sought “equitable remuneration” under German law by utilizing extensions of copyright terms. Read more here. May 9, 2016 – This story has made international headlines. The lawyer, Mr. Christopher Nicholson, claimed he was entitled to $2.5 million dollars for his services related to the estate of Mr. Harrell Tiller who passed away on December 21, 2014. Mr. Tiller was a former Richmond County Commission chairman. He was also a politician and he had a real estate company. In November of 2014 Mr. Tiller suffered a stroke. The family could not agree on where Mr. Tiller would recover. Read more. May 3, 2016 – Prince Rogers Nelson (June 7, 1958 – April 21, 2016), known to the world simply as “Prince” was found dead in his Paisley Park home in Minnesota. He was 57 years old. The circumstances of his death are still under investigation. His premature death has caused grief to millions of fans around the world. More on this story here. April 5, 2016 – A recent story reported on CNN Entertainment describes how Paul McCartney of The Beatles is attempting to acquire his share of the McCartney-Lennon catalog from the estate of Michael Jackson. Although Paul McCartney is not directly involved in a dispute with the estate of the late great Michael Jackson, it appears that these latest developments originate in the 1980s. More here. March 30, 2016 – John L. Griffin was the founder of Griffin Industries Inc. in 1943. According to referenceforbusiness.com Griffin Industries Inc. is the second largest independent rendering company in the United States of America. The company employs approximately 1,000 people and has annual sales of 292.1 million (2003 est.). More on Griffin Industries Inc. here. John L. Griffin and his wife Rosellen had 12 children. The dispute was apparently between the daughters and some of their sons. Two lawsuits were filled: one by Elizabeth A. Osborn, and another by Linda G. Holt, Judith E. Prewitt and Cynthia L. Roeder. Read more. March 18, 2016 – A will challenge can be a costly process. Estate litigation in general can become very expensive for all the parties involved. This is true if the parties become entrenched in their positions, and if they have the resources required to fund litigation. A will challenge involving a vast estate with a large number of assets can be even more expensive. Read more. March 11, 2016 – I recently wrote a story that illustrates some of the risks involved in will challenges. Winning a will challenge can be beneficial for a disinherited beneficiary, however care must be taken to ensure that the challenge is soundly based on law. Even if that’s the case, it is possible that the disinherited beneficiary may lose the challenge. This can result in significant legal costs. Just because a beneficiary has been disinherited does not mean necessarily mean that the Court will interfere. The final wishes of the deceased testator are important. Read more. March 8, 2016 – A sibling dispute stemming from Castle Howard in Yorkshire, England illustrates some of the issues that may come up in estate litigation. The Howard family has lived at Castle Howard for many generations. This dispute involves an older brother and his wife trying to evict a younger brother and his wife from the family estate. There many be a lot more to this story than what is currently known to the public. Read more. March 4, 2016 – David Robert Jones also known as David Bowie (January 8, 1947 – January 10, 2016) was a world-renown songwriter, record producer, and singer. His sudden passing was a shock to his fans around the world. It also revealed that his creativity went beyond the music he is known for globally. His financial affairs had been carefully planned in order to persevere through difficulties and allow his estate to retain the rights to his music. This was through to the use of “Bowie Bonds”. Read more. January 26, 2016 – A recent story from Australia illustrates the importance of mental capacity when succession planning is taking place. The story is about the estate of John Roche a millionaire property developer from Australia. His company is apparently worth more than $250 million. The dispute involves three sisters who are battling over Mr. Roche’s estate. One of the sisters, Shauna Roche, claims that Mr. Roche lacked testamentary capacity when he executed a will in 2006 essentially cutting her out of the estate. His long-term partner Raelene Harris claims that she was not aware that Mr. Roche had early dementia until months before his death. Read more. January 22, 2016 – The estate of Michael Jackson is currently the subject of a lawsuit related to an unfinished movie about the musician. The film was supposed to be created following the child molestation allegations against Michael Jackson. The deal was made with movie director Raju Patel, and the contract was made some time in 2005 approximately three months before Mr. Patel passed away from cancer. Before passing away Mr. Patel allegedly assigned the contract to his father Sharad Chandra Patel. The father is now suing the Michael Jackson estate for preventing him from completing the film. Read more. January 18, 2016 – The dispute involving the estate of Ian Wooldridge is intensifying as the widow seeks a larger portion of the estate. The dispute stems from the untimely death of Ian Wooldridge. He was a construction tycoon who along with his brother Graham was in charge of a vast construction empire. Mr. Wooldridge was killed in a helicopter crash in October of 2010. He was survived by two sons and his widow, Mrs. Wooldridge. The dispute is between Mrs. Wooldridge and one of her step-sons. Read more. January 14, 2016 – This story follows the killing of Samuel DuBose, an unarmed black man, who was shot and killed by officer Ray Tensing during a traffic stop on July 19, 2015 in Cincinnati, Ohio. He was 43 years old at the time he was killed. After his killing, his parents became involved in a battle over who is to control what happens to his estate. The dispute is partly fulled by the anticipated settlement of a multi-million dollar wrongful death lawsuit. None of the allegations have been proven in Court. Read more. January 12, 2016 – Ian Fraser Kilmister (December 24, 1945 – December 28, 2015) was the founder and lead singer of the British band Motorhead. He passed away at age 70 after a battle with an aggressive form of cancer. His estate is estimated to be worth approximately $10 million. It is expected to keep earning royalties from his work for decades to come. Royaltie may become an important issue in any dispute that may follow. The reason for this is that other artists like Jimi Hendrix and Michael Jackson have sold millions of albums posthumously. 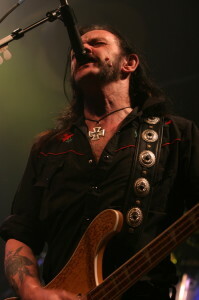 It is not clear if the Mr. Kilmister had a will in place at the time of his death. There may be several potential beneficiaries, and if a valid succession plan was not in place at the time of his passing, it is likely going to result in complications, delay, and even costly estate litigation. Read more. January 11, 2016 – An unconscionable bargain is alleged to have taken place in inheriting plastics company. This is a story from New Zealand which has dragged on for over 10 years. The parents left approximately $800,000 in assets for their children at the time of their deaths in 2003 and 2004. A plastics company named High Duty Plastics was one of the assets. It was worth approximately $333,000. One of their children, Greg Lee, was employed at the company and eventually took control and bought shares for $200,000 in 2000. Two of his siblings, Robert Lee and Helen Heard, have challenged the transfer alleging an unconscionable bargain and undue influence by Greg Lee on their parents in procuring the transfer. Read more. January 8, 2016 – This story is about the estate of Carolyn England, one of the founders of Yellowknife Hardware. Ms. England passed away on September 3, 2014 at the age of 93. The dispute is over a codicil signed on June 4, 2014 allegedly changing what her four children inherit from the estate and the family business. One of the children believes the signature on the codicil is not the signature of Carolyn England. The matter is before the Supreme Court of the Northwest Territories. This is yet another story confirming that change to succession documentation must be done so that they can best survive a will challenge. Read more. January 6, 2016 – Susan Williams, the widow of the late actor Robin Williams has shared some of the difficulties the has had in dealing with estate trustees after the passing of her husband on August 11, 2014. Allegations were initially made by Susan Williams that items were removed from the family home, including jewellery, watches, and other memorabilia. After the dispute settled, Susan Williams revealed why she was promoted to initiate estate litigation. It appears that a mere two weeks after Robin Williams’ suicide, lawyers for his children (estate trustees) had told Susan Williams that they would come to the home she shared with her husband and take various items. Read more. January 5, 2016 – A recent story published in Bloomberg Business online suggests that Sumner Redstone is involved in an estate dispute that may be on its way to becoming a will challenge in the future. Sumner Redston is a billionaire and media magnate from the United States. Some of the assets owned or controlled by him or his family include the National Amusements theater chain, CBS corporation, and Viacom. The Redstone estate is vast with many assets, and is estimated that he is worth approximately $6.2 billion. Read more. December 14, 2015 – The famous actor Morgan Freeman is involved in an estate dispute as a result of the tragic murder of his step-granddaughter. Ms. E’Dena Hines was stabbed outside of her New York City home and eventually died from her injuries on August 16, 2015. The alleged murderer is her boyfriend, Lamar Davenport. He is due to appear in Court, and has plead not guilty to a charge of second-degree murder. Read more. December 9, 2015 – A recent story from Michigan illustrates some of the risks associated with an estate lawyer benefiting from the will of a client. A will by a client left the lawyer in this story approximately $14 million. Relatives of the testator argued that they were the rightful heirs to the whole $17 million estate and the will should be invalid as it violated the Michigan Rules of Professional Conduct and public policy. Read more. November 16, 2015 – A recent story from New Zealand reveals the dangers of making changes to succession planning following multiple marriages. The story involves a dispute over the allocation of the funds in the estate of a respected Judge who passed away in 2013. This case illustrates some of the issues that may arise as a result of a second marriage. Indeed, studies have shown that there is an increased potential for estate disputes in blended families involving step-parents and step-children. Read more. November 11, 2015 – Last minute will changes can have enormous consequences and costs for the estate and the parties involved. This is especially true in situations where potential beneficiaries are excluded as a result of the changes, or have their previous entitlement under a will significantly reduced. A recent story about the estate of a Kansas man named Earl O. Field illustrates some of the dangers of last minute will changes and the impact they may have on the estate. Any last minute will changes are likely to be scrutinized by potential beneficiaries, especially when the changes result in these parties receiving less from the estate. This story illustrates that all will changes, especially last minute changes must be unambiguous and clearly documented. Read more. 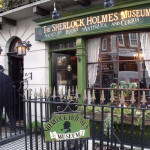 November 6, 2015 – The family of the owners of the Sherlock Holmes museum in London England are involved in complex estate dispute. The case involves several generations and it is an example of the kind of emotional toll an estate dispute can have on the entire family. An estate dispute can pit many family members against one another and the emotional toll can be tremendous. It seems like the dispute in this case has become so bitter, that the mother of the siblings in the dispute is unable to return to her home due to the poisonous environment created by the dispute.The parties in a dispute should attempt to resolve the matter in a timely manner. If not, expensive litigation can follow. Read more. November 2, 2015 – I recently found a story that suggests that elder abuse training for community workers may help in detecting and reducing instances of elder abuse. Lawyers and other professionals involved in estate planning are not the only members of the community that can help detect elder abuse. People who care for and see seniors frequently may have the ability to detect patterns of behavior indicative of elder abuse. Furthermore, the story suggests that as much as 91% of violence and 71% of financial abuse experienced by seniors is at the hands of family members. As the populations ages, the number of instances of elder abuse is likely to keep increasing. The fact that this abuse is taking place at the hands of family members makes it more difficult to detect and makes training for community workers that much more important. Read More. October 26, 2015 – The family of the former Premier of New South Wales is involved in a complex estate dispute. One part of the dispute is between Mr. Wran’s adopted son, Glenn Wayne Wran, his stepmother and the estate’s three executors. Glenn Wran appears to believe that he is entitled to a larger portion of the estate. The matter is further complicated due to the involvement of Neville Wran’s 27 year old daughter, Harriet Langley Wran who was recently committed to stand trial for murder in Superior Court in Sydney, Australia. Mediation has been ordered in this case. The dispute will be mediated by an eminent former appeal justice, who is a former president of the New South Wales Court of Appeal and a former New South Wales solicitor general. Read more. October 20, 2015 – A former president of the United States of America will be involved as a mediator in the dispute between some of the surviving children of Martin Luther King Jr. The parties of the dispute have had ample time to settle the matter, but haven’t been able to resolve. Part of the dispute is over the ownership of King Jr.’s traveling bible and his 1964 Nobel Prize medal. The matter was initially set for a date in February of 2015 but was stayed several times as the parties made attempts to settle the dispute. As of the date of my blog entry, the dispute has not settled. Read more. October 14, 2015 – Duane Albert Poole was a successful American entrepreneur and businessman. He is the founder of International Communications and under his guidance the company became an industry leader over a period of 50 years. His widow, Hattie Poole is in a relationship with a man who is 30 years younger. Allegations have been made by Ms. Poole’s sons that the man is manipulating Ms. Poole and that he has been placed on payroll with International Communications despite not working for the company, and that property has been transferred to him by her. This dispute demonstrates some of the issues that may come up when a surviving spouse becomes involved with another significantly younger partner. Read more. October 5, 2015 – The Robin Williams estate dispute has settled out of Court. I have been following this dispute since it became public and I’ve written several updates on the topic. After his dead by suicide on August 11, 2014, Robin Williams left an estate to his family estimated to be worth approximately $50 million. A claim was initially filed by his widow Susan Williams in a San Fransisco Court. It was alleged that his children from his first marriage removed items from one of the family homes shortly after his death. Some reports suggested that there are almost 1,200 items that had to be sort out and accounted for. The parties attempted to settle the matter out of court and were able to settle and keep the terms of the settlement confidential. Read More. October 2, 2015 – A recent story in the Investment Executive online suggests that estate planning is still ignored by many older Canadians. Almost half of all Canadians do not have a will. A recent report by the Canadian Imperial Bank of Commerce suggests that the lack of preparation is due to lack of knowledge about estate law and wealth transfer. Many people put off creating a will to a distant time in the future and there are many people suffer consequences due to inadequate estate planning. Succession planning is an important part of a person’s life. A will and power of attorney documents should be prepared and updated to ensure that eventualities like disability, loss of mental capacity, and serious illness before death are addressed. Read more. September 15, 2015 – The untimely death of Jimi Hendrix on September 18, 1970 shocked the world. His music continues to influence many generations of musicians to this day. At the time of his death Jimi Hendrix did not have a will in place. His father James “Al” Hendrix assumed control of the Hendrix estate. When James “Al” Hendrix passed away in 2002, he left the Hendrix estate to Jimi’s adopted sister Janie Hendrix. According to some estimates, the Hendrix estate was worth close to 80 million dollars at the time James passed away. Jimi’s brother, Leon Hendrix apparently got almost nothing from James. A bitter and complex estate battle followed. Read more. June 29, 2015 – The estate of the legendary musician B.B. King will be controlled by his longtime business manager. At the time of my initial story on the state of B.B. King there were several serious allegations being made against his long-time manager LaVerne Toney. Some of B.B. King’s daughters had filed suit in a Las Vegas Court alleging that Ms. Toney looted B.B. King’s bank accounts, misappropriated funds, and endangered B.B. King’s health in the days leading up to his death. There were also allegations that B.B. King may have had a second missing will. On June 22, 2015 Clark County Judge Gloria Sturman prevented the daughters from challenging the 2007 will appointing Ms. Toney as the executor of the King estate. Read more. June 16, 2015 – The family dispute of Tom Benson involves the issue of competence. Tom Benson is the billionaire owner of the New Orleans Saints (football) and the New Orleans Pelicans (basketball) teams. He is currently involved in a dispute over who is to have future control of the Saints and the Pelicans. His daughter Renee Benson, and her children Rita LeBlanc and Ryan LeBlanc are opposed to Mr. Benson’s decision to sever ties with them and to leave full ownership of the Saints and Pelicans to his wife of 10 years, Gayle Benson. His daughter and her two children sought to have Mr. Benson declared to lack mental capacity to control his business. Read more. June 16, 2015 – Riley B. King (also known as B.B. King passed away on May 14, 2015. He was almost 90 years old the time of his death. B.B. King was one of the greatest guitarist and musicians of all time and my personal hero. I had the privilege of meeting him three times. Almost immediately after his passing issues related to the management of his estate and assets prior to his death started to emerge. Various allegations were made against B.B. King’s long-time business manager LaVerne Toney. It is alleged that Ms. Toney looted B.B. King’s bank accounts, misappropriated funds, and endangered B.B. King’s health in the days leading up to his death. None of the allegations have been proven in Court. Read more. April 28, 2015 – Ernie Banks was a shortstop and first baseman with the Chicago Cubs from 1953 to 1971. Mr. Banks passed away on January 23, 2015. His passing revealed a will signed approximately three months before he passed away (October of 2014). Ernie Banks appears to have excluded his entire family from his will. This has resulted in an estate dispute over the validity of his will. This story illustrates some issues that may arise if a will is signed or changed shortly before a person passes away. If a will is drafted or amended to exclude beneficiaries, it is likely that those beneficiaries will contest the will and estate litigation will commence. Read more. April 27, 2015 – This is an update to my initial story about the Robin Williams estate dispute. Robin Williams committed suicide on August 11, 2014. He left his family a vast estate valued at an estimated $50 million dollars. A claim was filed in a San Fransisco Court by Susan Williams (his widow), with allegations that Robin Williams’ children from his first marriage removed among other items, jewelry, watches, and other memorabilia from one of the family homes shortly after his death. The latest developments are encouraging as it was reported on March 30, 2015 that the parties had decided to attempt to settle the matter via mediation and out of Court. This is encouraging because estate disputes are some of the most emotionally draining litigation disputes for all the parties involved. This is especially true when the parties involved have vast resources to endure prolonged and costly estate litigation. Read more. Estate dispute of the heirs of Martin Luther King Jr.
April 20, 2015 – The children of Martin Luther King Jr. are involved in a bitter dispute over property belonging to the late world-renowned civil rights activist. The dispute is between his sons Martin Luther King III and Dexter King and his daughter Bernice King. It is over the ownership of Martin Luther King Jr.’s travelling bible and 1964 Nobel Prize medal. The travelling bible was used to swear in President Barack Obama for his second term in office. Both items are considered to be important parts of American history and the civil rights movement of the United States of America. Specifically, the dispute is over what to do with the items. Ms. Bernice King’s position is that she inherited the travelling bible and 1964 Nobel Prize medal from her mother, Coretta Scott King. Martin Luther King III and Dexter King have expressed a desire to sell the items. Read more. March 14, 2015 – The world famous actor Robin Williams committed suicide on August 11, 2014. He was a successful actor and many sources have valued the estate he left to his family at over $50 million dollars. His estate plan was allegedly recently updated. Nonetheless, in early 2015 reports began surfacing of an estate dispute among the beneficiaries. A claim has apparently been filed by Susan Williams in San Fransisco Court. Susan Williams is the widow of Robin Williams. It is alleged that Robin Williams’ children from his first marriage removed items from one of the family homes shortly after the actor’s death. This was allegedly done despite there being a will leaving these items to the estate. None of the allegations have been proven in Court. Read more.